reveal who's listed in the New York Review of Books, and turn our pineapples upside down. Adam Gorightly and S. John Ross. considered one of the best) Discordian work of the 21st century. year on January 18 which is Pat Pineapple Day. Last year’s winners were Doctor Demento and R. Crumb. To see a list of all winners, visit op.loveshade.org. Congratulations to the new winners! 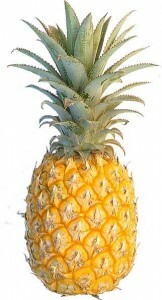 Remember to eat something having to with pineapple on January 18! of Shamlicht! See it at http://assets.nybooks.com/media/ipl/independents.pdf. The Loveshade Family has an all new blog! Check it out at www.loveshade.org/blog or blog.loveshade.org. subscribe because it is free! (Details at bottom). it--we made it public domain (kopyleft).